Please note that prices are a guide only. A particularly large area to be treated would obviously cost more. 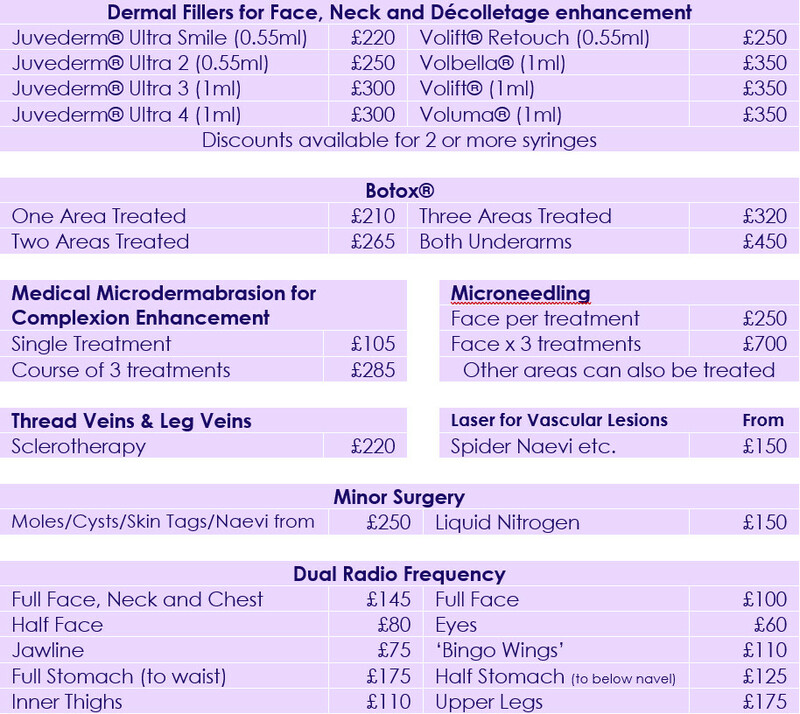 If you were to have a number of areas treated at the same time it would cost less than the individual listed prices. 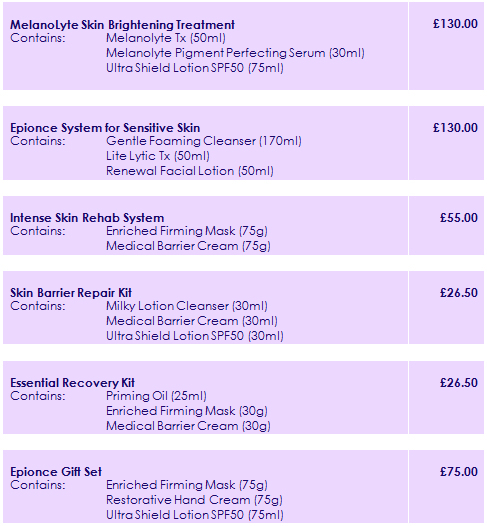 Prices for one treatment. 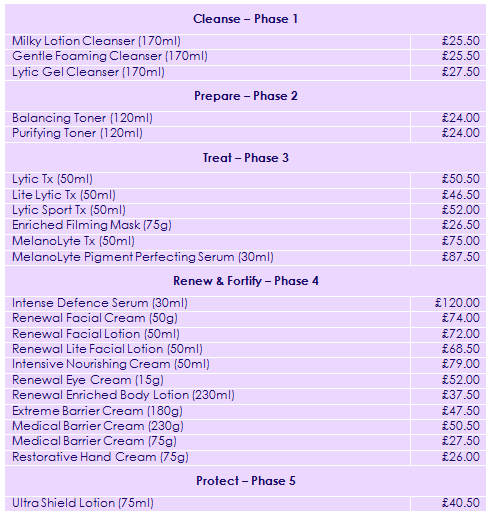 4-6 Treatments usually required but can be even more!